Shri Omesh Saigal is an alumnus of IIT Kharagpur and was also a faculty there. 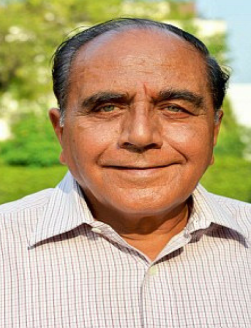 He joined IAS in 1964 and has served in various parts of country including Tripura and Lakshdweep, He has handled various assignments and has been Chief Secretary of Government of NCT Delhi. He is an authority on infrastructure planning in NCR. An avid champion for fighting for the rights of the common citizen, he has filed numerous PILs/ filed cases in Consumer Forum to ensure that people are not deprived of their entitlement.